The annual session of the World Heritage Committee is a crucial period for the Convention, and we are grateful to Germany for hosting us this year. The 39th session of the Committee is taking place as we celebrate the 70th anniversary of UNESCO, marking its accomplishments thus far and defining the way forward in the years to come. At the 39th session, the first annual meeting of the six culture conventions will be held. In the context of the 70th anniversary, this provides a unique opportunity to reflect on the future of the Organization’s standard-setting action in the face of contemporary challenges and emerging needs. This is particularly important as the international community advances towards the definition of the United Nations Post-2015 Development Agenda, in which the linkages between culture, development and peace should be fully recognized and projected forward. 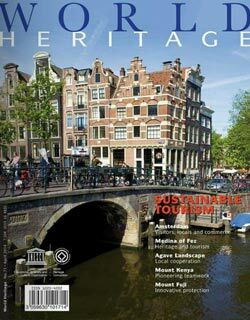 Germany has been a leader in the implementation of the World Heritage Convention, not only serving on the World Heritage Committee several times over the years but also contributing to reforming its working methods, and currently serves as Chair of the Working Group to renew the nomination process for World Heritage sites. The country has also set an example when it comes to international cooperation, particularly through the shared management of transnational sites. 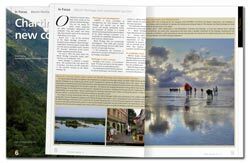 It currently shares five World Heritage sites, two natural and three cultural, with ten other countries, rising admirably to the challenge of working effectively across boundaries to a common purpose. 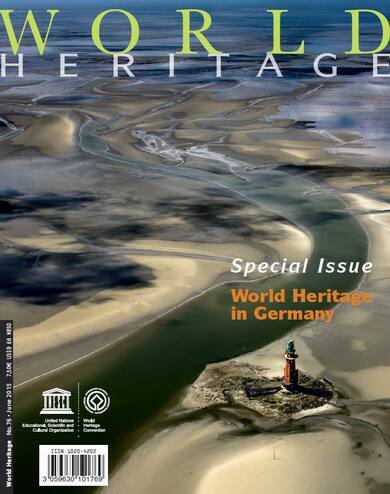 Another way that Germany has given its support to World Heritage conservation is by providing staff resources for the World Heritage Centre, without which it would be impossible for the Secretariat to carry on with its important work. I would like to thank Germany for hosting the World Heritage Committee, for its unwavering support in World Heritage preservation while keeping an eye on the future, and helping to lead the way.